OMS 8th Grade Science Finishes Strong! Mrs. Swartz's 8th Grade Science students are finishing the year strong with units on cells and heredity. 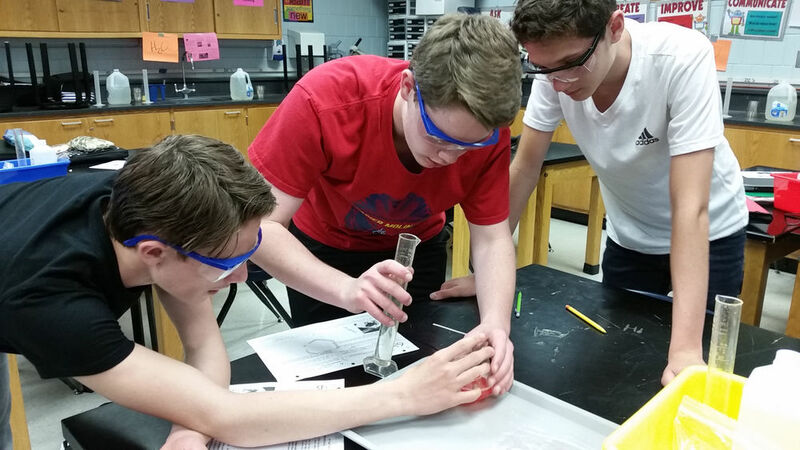 Carter, Drew, and Anthony (above) are in the process of extracting DNA from strawberry cells. 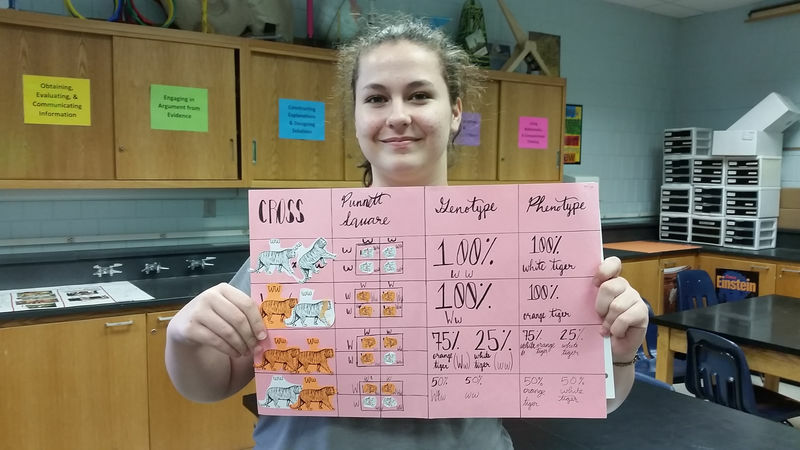 Hillary displays her "Tiger Crossing" project, an activity aimed at helping students understand the nature of traits passed down from parents to offspring. Sierra is working on her zoo genetics research project, a follow-up to the 8th grade team field trip to Miller Park Zoo. 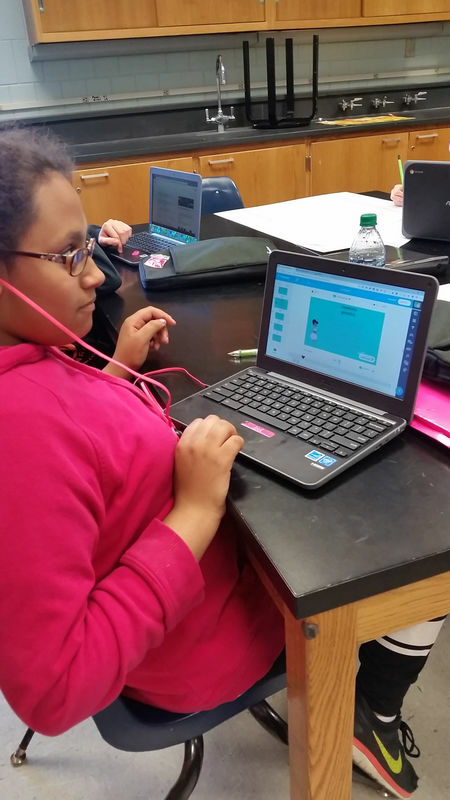 Students are doing individual projects in each of their core classes, and will choose one project to present to their classmates.